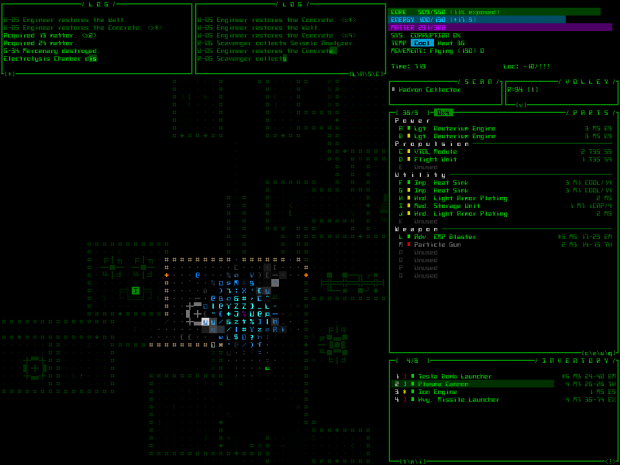 Experience sci-fi tactical combat and exploration in a procedural world that combines traditional roguelikes with an immersive modern interface like no other. Build yourself from components found or salvaged from other robots. Attach power sources, propulsion units, utilities, and weapons to become a slow tank bristling with weapons, or a fast-moving flier zipping past enemies before they even have time to react, or a stealthy sword-wielding assassin/hacker, or whatever else you can come up with from the salvage you find. The situation can quickly change as you lose components and rebuild yourself from enemy remains. 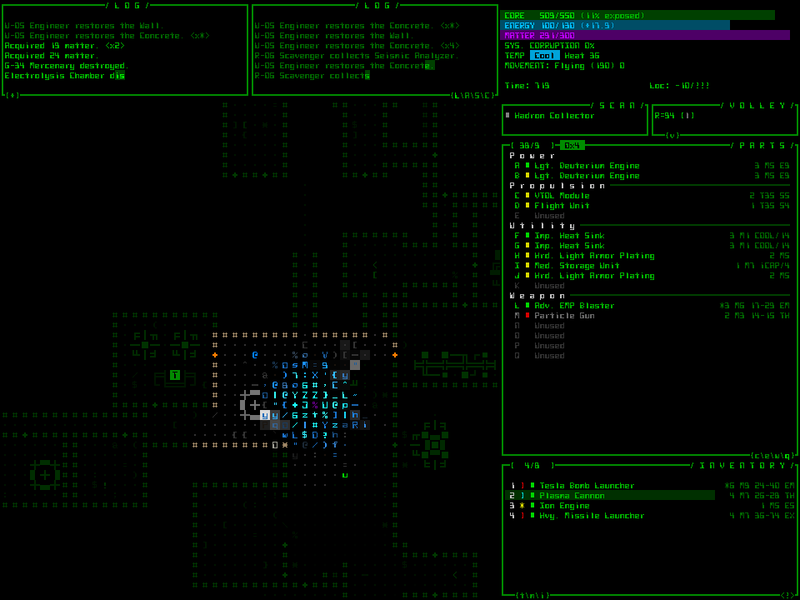 You are the Cogmind. Discover what that means as you explore a living, breathing world ruled by robots.